This week I made Chocolate Chip Cookies. It was the original plan when I made Taquitos last week, but they got bumped when my pantry was short an ingredient. I’ve pinned a few Chocolate Chip Cookie recipes to my Yum board, but chose to try this one first because the caption with the Pin claimed: “The NYTimes rated this the best chocolate chip cookie recipe ever.” …Sounded like a great endorsement to me! I knew we needed baking soda, and after reviewing the recipe ingredients, I realized the recipe required approximately 1.5 bags of chocolate chips (we had 1 bag on hand). J picked up the missing items and actually returned from the grocery store with 2 new bags of chocolate chips. He was excited to have found Ghirardelli brand chocolate chips – yum! 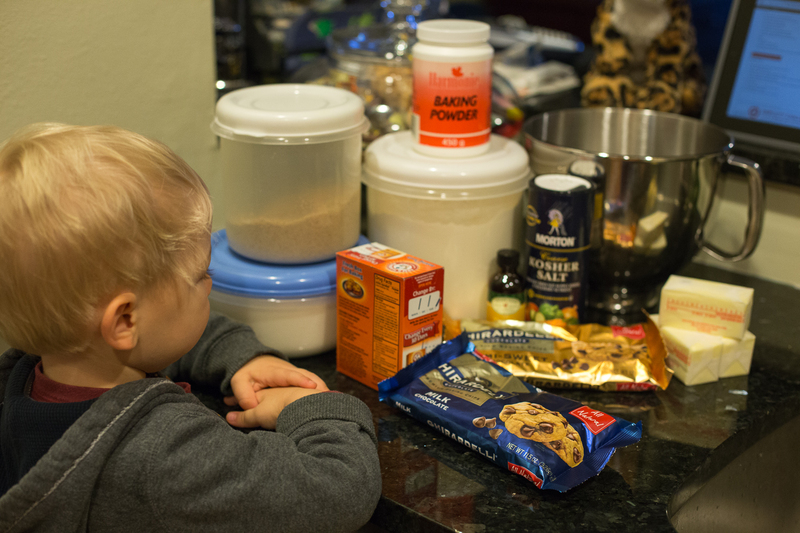 My helper-cutie pie N and I started baking. Our only deviation from the recipe was using all purpose flour in place of the recommended mix of cake flour and bread flour. I figured it would work out since the blogger whom I pinned the recipe from notes that she did the same thing. Other than that, we creamed, sifted, and mixed to our hearts content, following the recipe to the letter. Then we hit a road block. 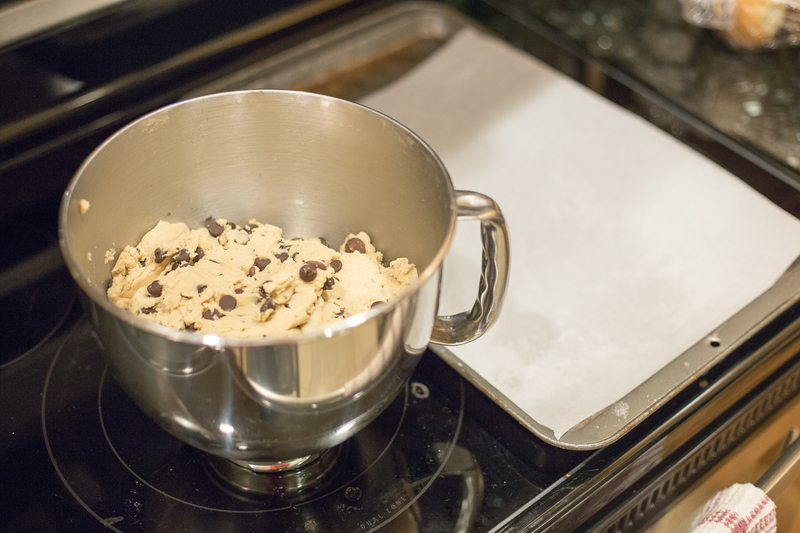 We got to the finished-dough-stage, the ready-to-bake-stage, the looking-forward-to-eating-warm-cookies-tonight-stage, and I read that we’re suppose to “refrigerate dough for 24-36 hours” — what?!? 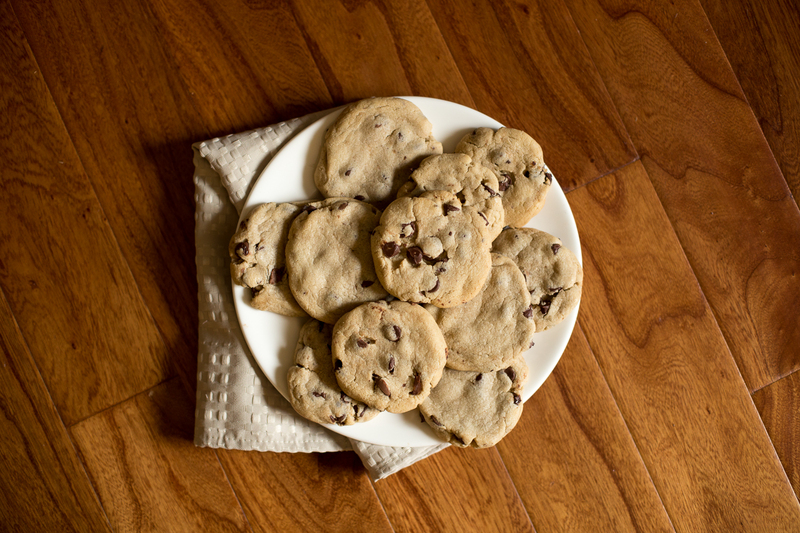 Ugh, it took will-power, but we did it, we popped it into the fridge and waited an entire day cause we didn’t want to mess with “the best chocolate chip cookie recipe ever”. I’ll admit, I’m building some pretty high expectations at this point. The next day was my second challenge with the recipe – the dough was no longer easily moldable, but instead, very hard and quite a chore to scoop & bake. We persevered, surely the delicious reward would be worth it, right? 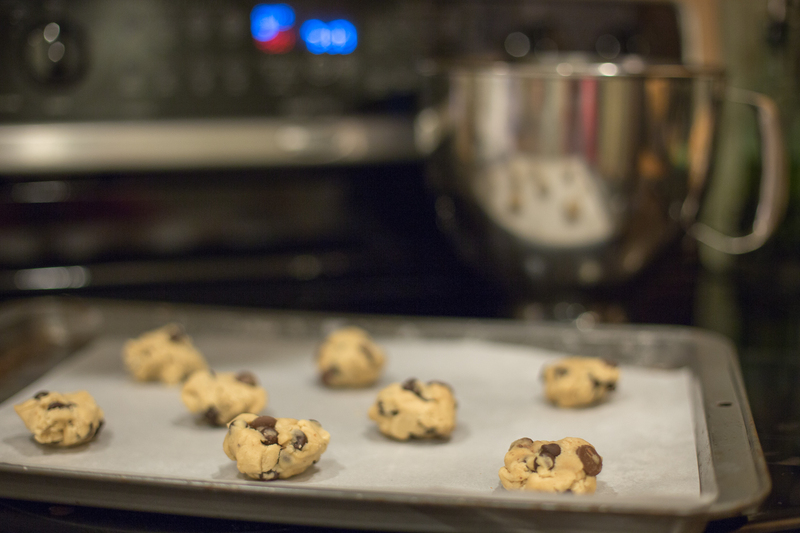 A short baking time later… cookies! Unfortunately here was disappointment numero tres… I didn’t love them! I fully take responsibility that it could have been me, so I’m not going to knock the recipe… perhaps it was the flour variation, or oven temperature, or who knows, but they were simply “meh”… and we didn’t think they were nearly as good as the traditional chocolate chip cookie recipe found on the chocolate chip bags. So, in summary, I wouldn’t make this one again, but we still tried one more pin from the hundreds in the queue. In this case, you don’t know until you try, so no regrets. What happened to the other bag and a half of chocolate chips? Why are you asking me. I haven’t seen any extra chocolate chips anywhere. I would not eat a bag and a half of chocolate chips. Don’t ask me anymore questions. And we thank him for the really cute children’s book he gave my son: “I want my hat back”, by Jon Klassen – check it out, and this post will have a little more meaning for you too.